The past decade is probably unparalleled as a period of dynamic changes in the crop protection sciences-entomology, plant pathology, and weed science. These changes have been stimulated by the broad-based concern for a quality environment, by the hazard of intensified pest damage to our food and fiber production systems, by the inadequacies and spiraling costs of conventional crop protection programs, by the toxicological hazards of unwise pesticide usage, and by the negative interactions of independent and often narrowly based crop protection practices. During this period, the return to ecological approaches in crop protection was widely accepted, first within entomology and ultimately within the other crop protection and related disciplines. Integrated pest management is fast becoming accepted as the rubric describing a crop pro- tection system that integrates methodologies across all crop protection dis- ciplines in a fashion that is compatible with the crop production system. 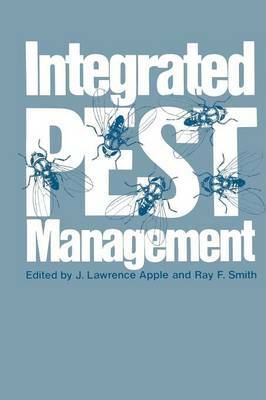 Much has been written and spoken about "integrated control" and "pest management," but to date no treatise has been devoted to the concept of "in- tegrated pest management" in the broadened context as described above. Most of the manuscripts in this volume were developed from papers presented in a symposium at the annual meeting of the American Association for the Ad- vancement of Science held in San Francisco in February, 1974. In arranging that symposium, the editors involved plant pathologists, entomologists, and weed scientists.